Marriott CEO Arne Sorenson trash talked Indian hotel chains at Arabian Business in Dubai, suggesting that they might as well just stay niche players in India — they’ll never compete with Marriott. To Sorenson frustrations with customer service and IT are just “noise around the edges.” Bill Marriott after all explained that they bought Starwood for leverage, so their counterparties (and customers) would have no choice but to deal with Marriott on their terms. And Sorenson believes there’s no room for competitors now because of Marriott’s wide array of brands and loyalty program (“choice of price points, design sensibilities, and programmes”). He may overestimate their position, though. Just yesterday Marriott customer service couldn’t even find the W Scottsdale telling me the hotel didn’t exist (“do you mean the Westin?”) so their agents and technology may create an opportunity for competitors — their unwieldy brands may be a hindrance not an advantage if they have so many hotels they can’t find them. And the loyalty program may not serve as an advantage when agents just say the system is down instead of helping customers to use it. Well, in my opinion I would stay at a Taj hotel over a Marriott branded hotel any day of the week. The amenities, service, and genuine hospitality are far above Marriott’s. Marriott May think they have leverage but in very few instances since the integration in August have I stayed at a Marriott and instead stayed with competitors because of how the integration has been handled. It’s not your daddy’s Marriott anymore. There was probably a time when people said the same about AirBnB. Ha, I’m primarily Marriott loyal in the US but consider Trident or Oberoi first when in India. Agree with JC, that I would also look at Taj first. The level of service for comparable cost is night and day. Well…..all those years Marriott hated SPG and the stellar SOG brands and.now they are all one unhappy family. Hahaha the W Scottsdale …do you mean the Westin? Well W …Westin….it’s the same letter !! Oberoi or Taj in India anyday over Marriott/SPG garbage. But he’s got a point. Points loyalists, especially old SPG ones, have extraodridnary blinders on. So much so, they will not even consider other hotels, picking a garbage Sheraton over Taj. 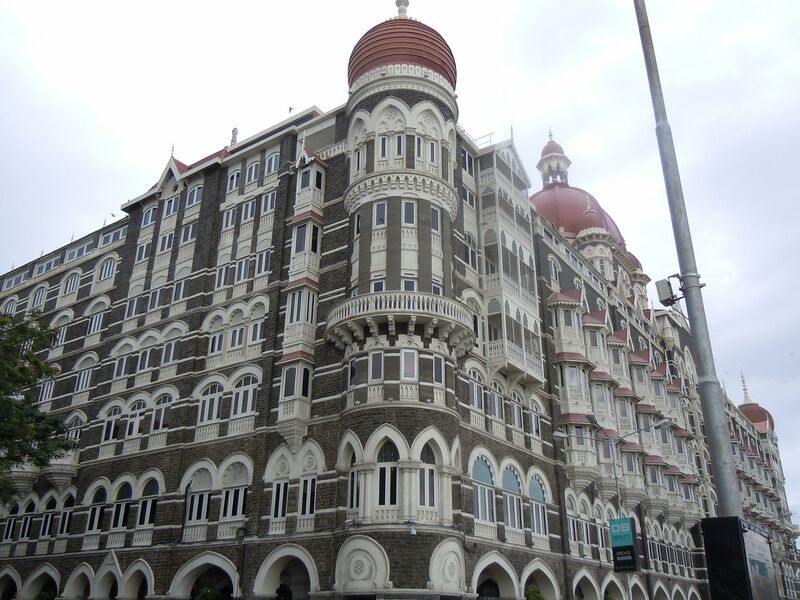 If you want to stay in real palaces turned hotel and/or one-of-a-kind properties, then Taj all the way. For within India, Taj is generally my choice before Marriott/Starwood. To me it sounds like Marriott is concerned that Taj night pick off hotels in the Middle East and more of Asia and at least in the GCC may have a chance to pick off some of the Marriott/Starwood properties. The Indian middle class is a massive and fast growing opportunity for hoteliers. As magnificent as the Taj hotels may be, they will have a serious challenge in scaling up to meet the mid-market opportunity. My guess is that they will both do well but by following different paths. Who will dominate that market in 10 years is an open question. Like the other commentators who have experience in India, the idea that I might prefer a Marriott to a Taj is a big laugh. Would you rather stay at the Ritz or a Holiday Inn? Within India Oberoi and their Vilas brand are my top choices followed by Taj. As a frequent visitor to Mumbai I don’t see a Marriott branded hotel anywhere close to South Mumbai where the Oberoi and Taj are located. Did he really “trash talk” the Tai chain as the article title claims? I didn’t see anything out of the norm. But perhaps he should fix the many problems in his house before looking elsewhere? I have stayed at both the Taj and Oberoi chain in India–I would never consider a Marriott Brand there. Mr. Sorenson had best know his competitors. Perhaps the Taj group can get some financing, promise “SPG level benefits” and start picking off hotels in N.A & Europe? I’d be there in a heartbeat. Hahahaha, who in their right mind would ever stay at a Marriott property over a Taj or Oberoi property?!?!?! First, after reading this entire piece it now seems Gary’s header made it seem worse than Sorenstem’s actual comments which I read to be more of an competitive opinion. However, the one thing that stuck with me is that this arrogant weasel has the nerve to call out other companies strategies while in Dubai. Isn’t that the same city where his new program lost almost all of their higher end SPG properties overnight when the programs merged? There is an unpleasant arrogance about this chap. That’s unfortunate , and particularly so when it seems to be reflected in the culture at Marriott: a shambolic fiasco of a merger is one thing…but even that might have been forgiven had it not coincided with a patronising, tell-‘em-nothing, like-it-or-leave-it communications approach. Worst hotel stay ever last week at Marriott ITC in Jaipur, India. Valuable earrings stolen. Housekeeper actively solicited tips. Final straw–I was hauled off departing tour bus at 6 a.m. for hotel’s claim of unpaid bill. My humiliation is owed to Marriott and fella named Nick Jackson who managed to charge goodly sum to my room. In a lifetime of travel I have never had any of these three experiences at a hotel. Marriott and CEO should take another look at operations. And they should list hotel manager’s email address on web siite so I can report my experience. No way to convey that info. I loved Indian-owned hotels, by the way. If you are looking for a Royal kind of a stay, then Taj is the best. There is nothing better than Taj. Comparing Taj and Oberoi to the Marriott is a joke. From the service point of view I will confidently say, Marriott will never be anywhere close to the level of service given at any Taj or Oberoi.